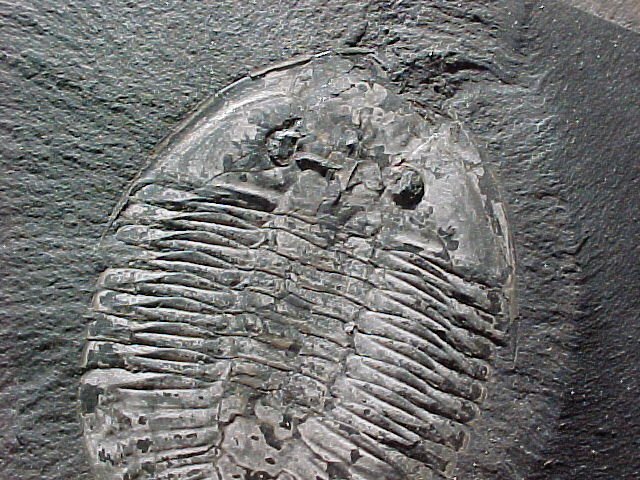 Pseudogygites latimarginatus is an Asaphid trilobite (Order: Asaphida; Family: Asaphidae Subfamily Isotelinae) coming from the Ordovician Whity Formation strata of Ontario, Canada. 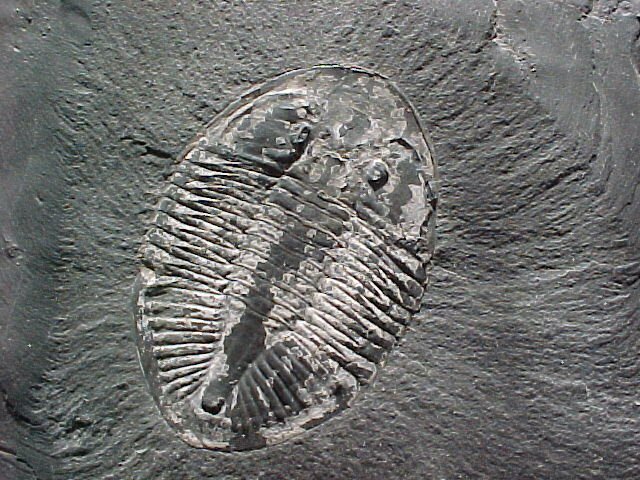 This trilobite was first known as Pseudogygites canadensis until it was found that the name Asaphus latimarginata had precedence over Asaphus canadensis. 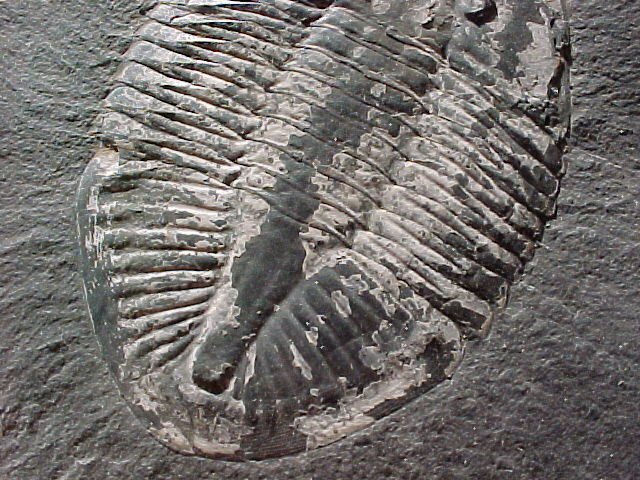 Once the trilobite was placed in the current species, the generic name became latimarginatus. They are similar in morphology to the genus Ogyginus of the United Kingdom, differing in the hypostome and facial suturing. This is a good pair of counterpart examples. Like Isotelus, the genal spines became smaller as the trilobites got older, with full-grown examples having none detectable.